Click on the icon at right to view a PDF of this overview. This toolkit helps district, school, and charter management organization leaders select teachers and staff members for the school models of an Opportunity Culture, provided on OpportunityCulture.org. Districts that have created an Opportunity Culture have seen a surge of applications; this toolkit helps leaders adapt to a higher volume of applications and the chance that offers to become highly selective in hiring. For ease of use and downloading, this toolkit walks users through the steps of selecting candidates for Opportunity Culture roles. See the overview of the steps below. 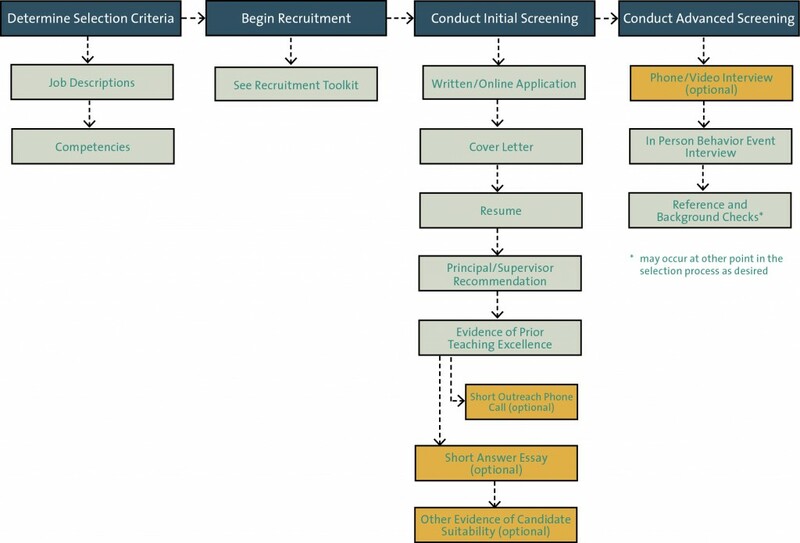 Each step includes a set of considerations, screening criteria and content guidance, action steps, and links to relevant tools and resources. 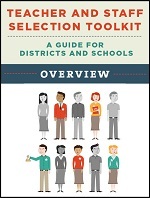 Begin using the Selection Action Checklist tool as soon as you begin this toolkit, and use it throughout the process.